This is one of those news stories that feels completely surreal, but actually makes a lot of sense. 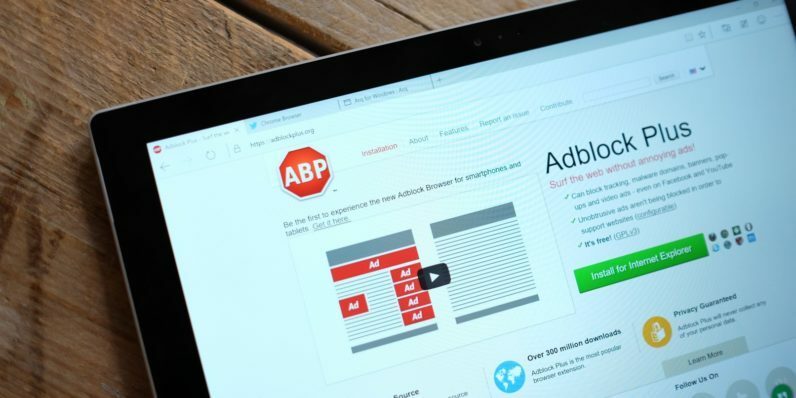 AdBlock Plus, the maker of the plugin that’s caused an unfathomable amount of damage to the best business model for free online content, is getting into the ad-tech business. It’s an easily-made mistake to think that Eyeo, the German owners of AdBlock Plus, are inherently opposed to advertising. But they’re not. Rather, they’re against bad advertising, which fundamentally undermines the user’s experience and privacy. Since 2011 it has ran an Acceptable Ads policy, which allows users to whitelist adverts which have deemed to not be intrusive or damaging. This latest initiative takes this a step further, and acts as a supply-side platform for these so-called “acceptable ads” with something called, you guessed it, the Acceptable Ads Platform. The platform acts as a heavily-moderated advertising platform. To get started, publishers have to insert a special tag into their websites. They can then choose from a selection of approved adverts, and then insert them into places that have been deemed by AdBlock Plus not to be intrusive. These adverts will be visible to all AdBlock Plus users who haven’t opted out. It’s inevitable that this initiative will earn Eyeo scorn from the publishing community. Acceptable adverts are unlikely to be as profitable as if the publisher had chosen the design and location themselves. Moreover, by setting up this marketplace, AdBlock Plus directly benefits from a beast of its own creation. But some advertising revenue is better than none; it seems probable that publishers will sign up, albeit with a bitter taste in their mouth.